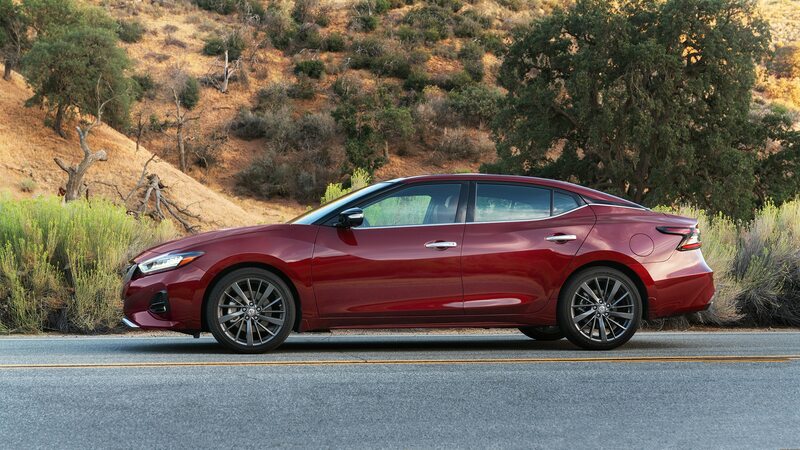 Once you let the 4-Door Sports Car stuff go, the Maxima comes into clearer focus. 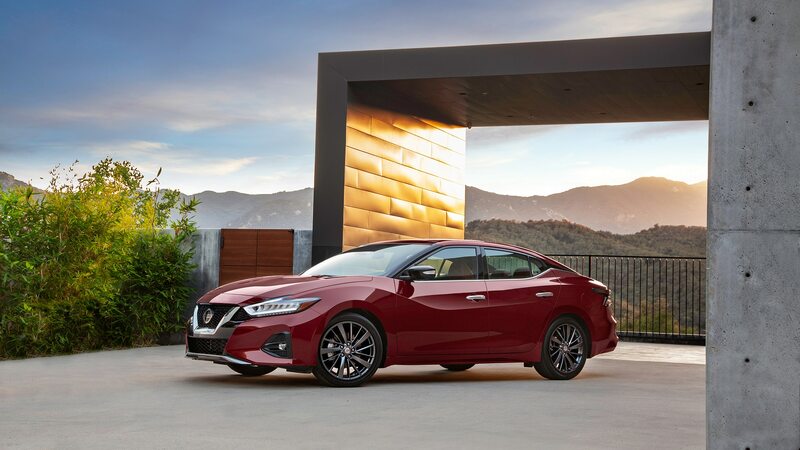 NAPA, California — We arrived at the press preview of the refreshed 2019 Nissan Maxima with our expectation dials set to zero. 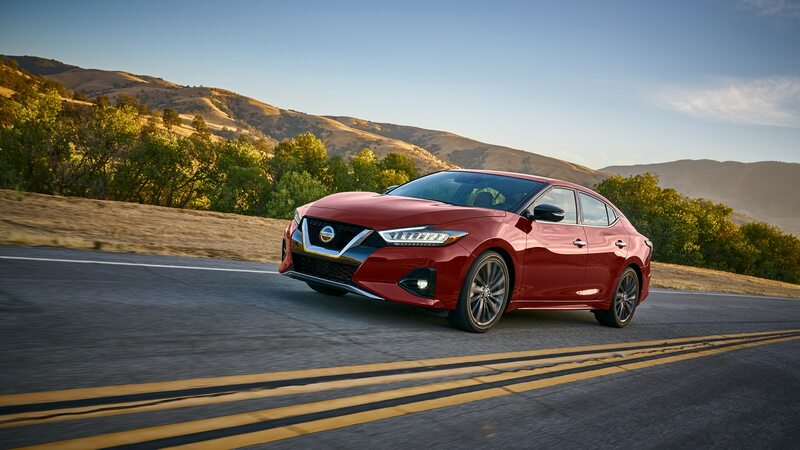 Nissan had revealed the updated Maxima at the L.A. auto show just a couple of weeks before, and the new car seemed the epitome of a budget-friendly mid-cycle refresh: Updated styling (mostly plastic parts, avoiding expensive sheetmetal), a brightened-up interior, and some feature additions, but no changes to suspension or steering, which is what the Maxima needed most. 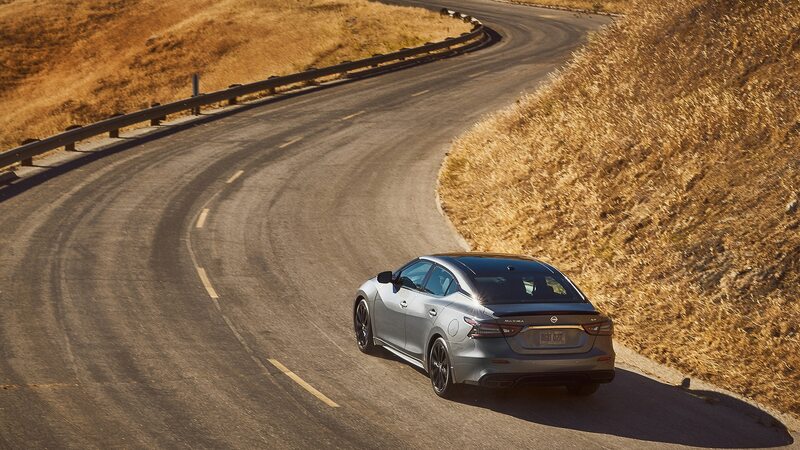 But a funny thing happened on the roads of Northern California: We came to generally like the new Maxima. 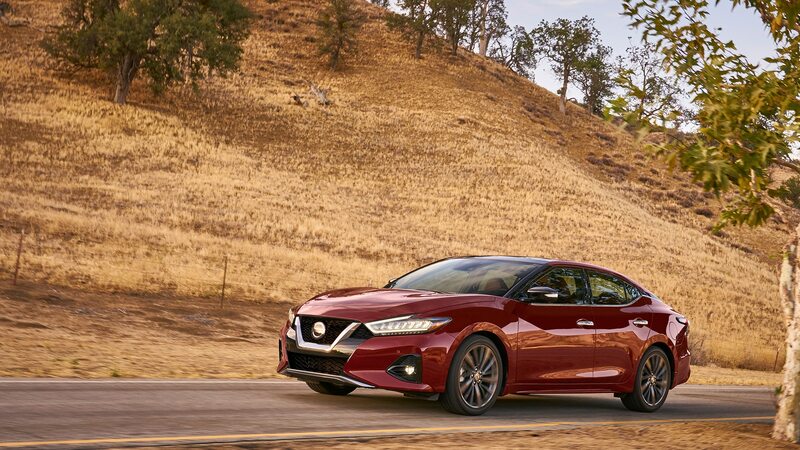 Appreciating the new version requires letting go of the old Maxima’s role as the “4-Door Sports Car,” which Nissan itself has seemed to do. 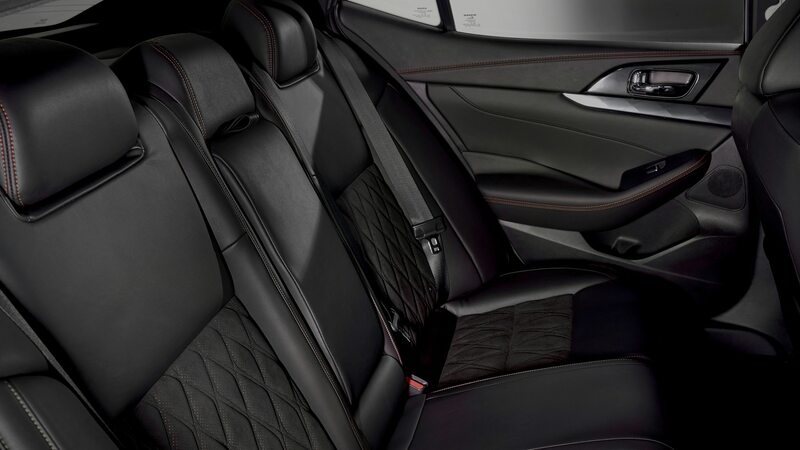 Indeed, during the inevitable PowerPoint presentation that preceded our drive, there was only one 4DSC reference made by a Nissan staffer, and it came in the form of a timid, halting non sequitur from an interior designer. 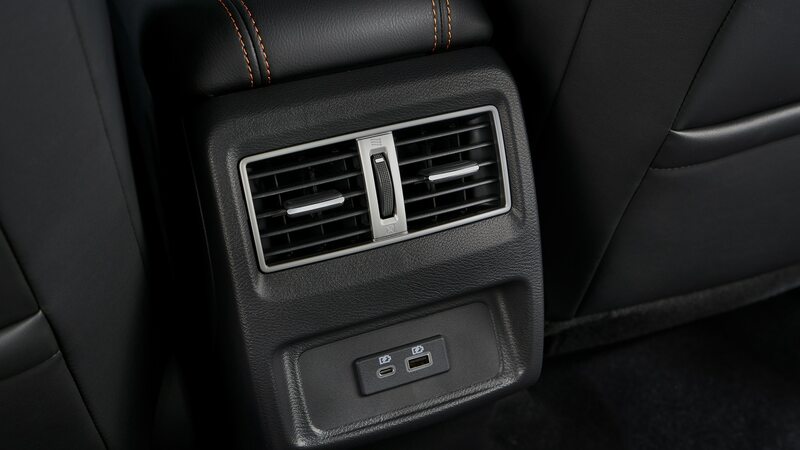 We’ll give that a pass. Instead, the emphasis of the talk was on style. 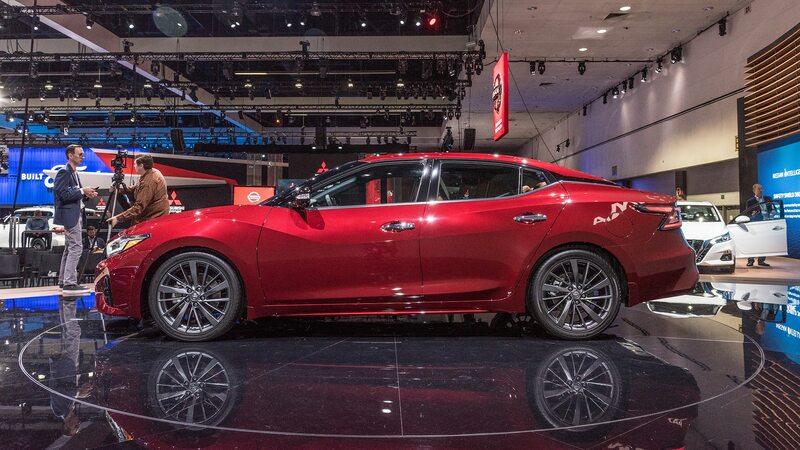 When the pre-refresh Maxima made its debut in 2015, it stood out with its sharply outlined fenders, deep-V grille, and floating-roof C-pillar design. 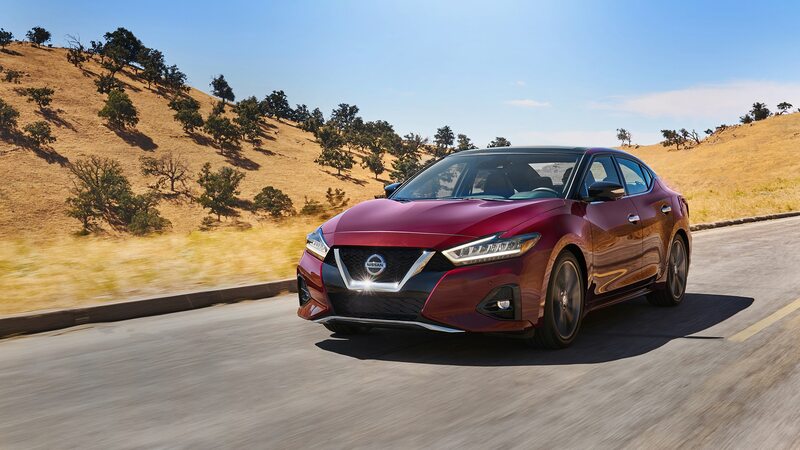 For 2019, Nissan has doubled down on those features, sharpening the front end with what it calls the “V Motion 2.0” design language, deepening the creases, and even giving a vaguely spindle-like shape to the lower part of the grille. 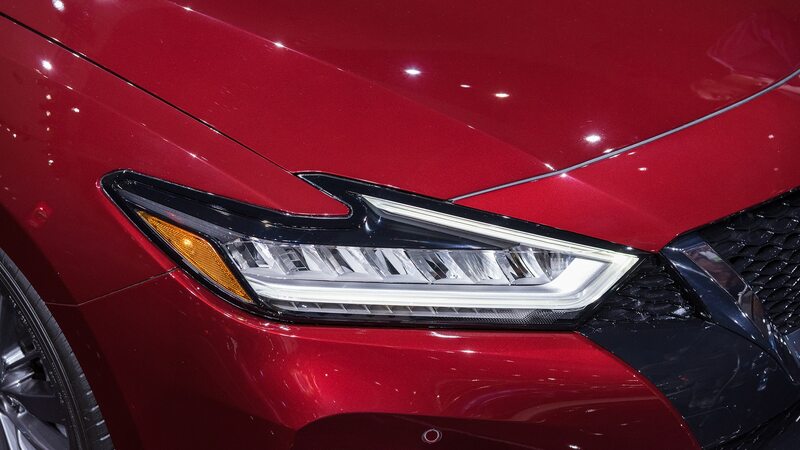 Lexus must be proud. 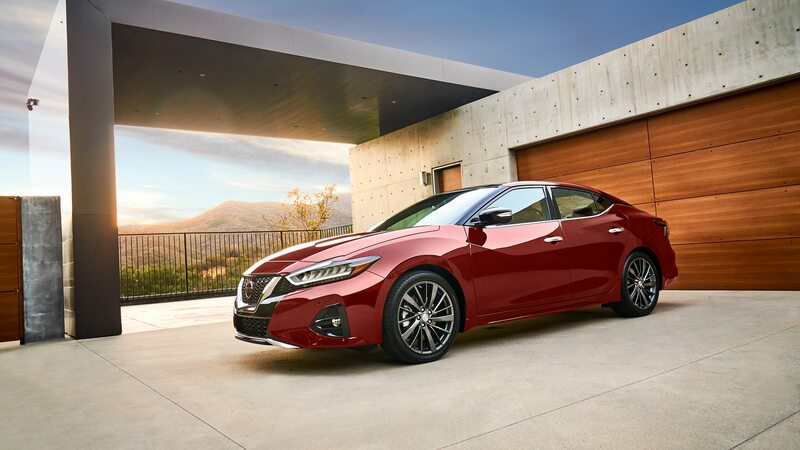 From outside, we like the new Maxima’s presence, and the 2019 restyle is one of the rare updates that enhances the look of the car. 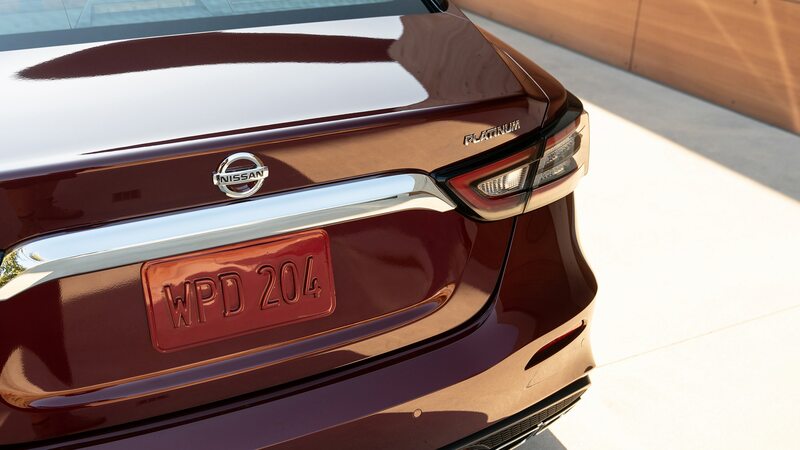 The new grille fits in nicely with the sharply outlined fenders, and the smoked treatment applied to the center of the taillights echoes the black line on the C-pillar that creates the Maxima’s floating-roof look. 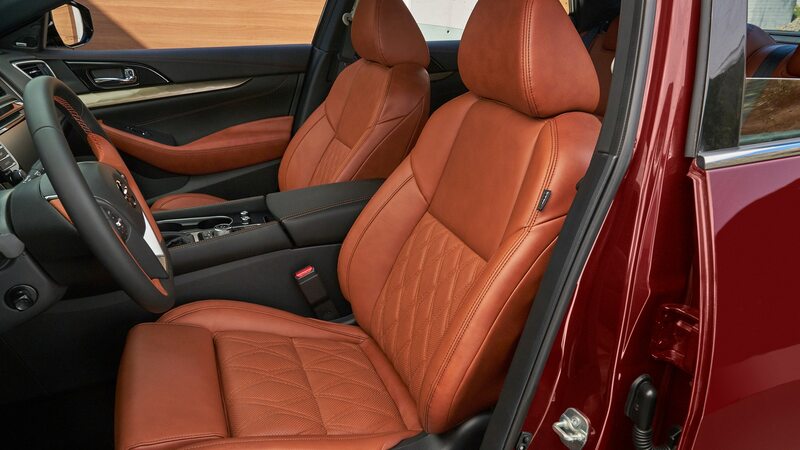 Inside, the changes are limited to upholstery and trim, with diamond-quilted leather in higher trim levels that give the seats a family resemblance to our long-term Infiniti QX50. 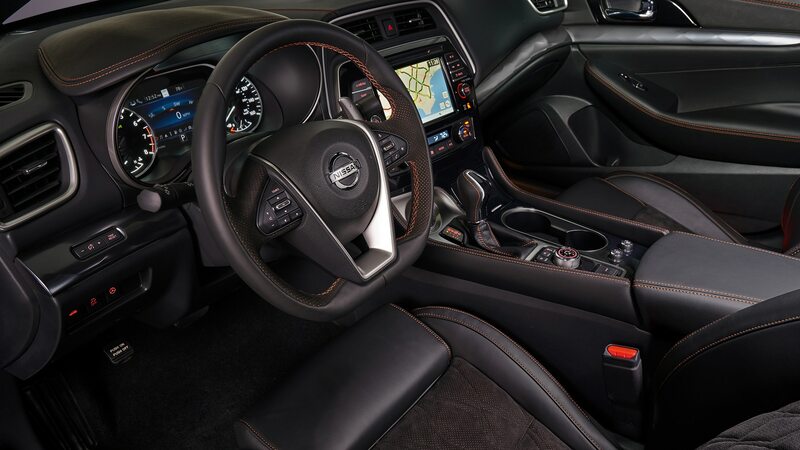 There are no significant changes to dash layout or switchgear. 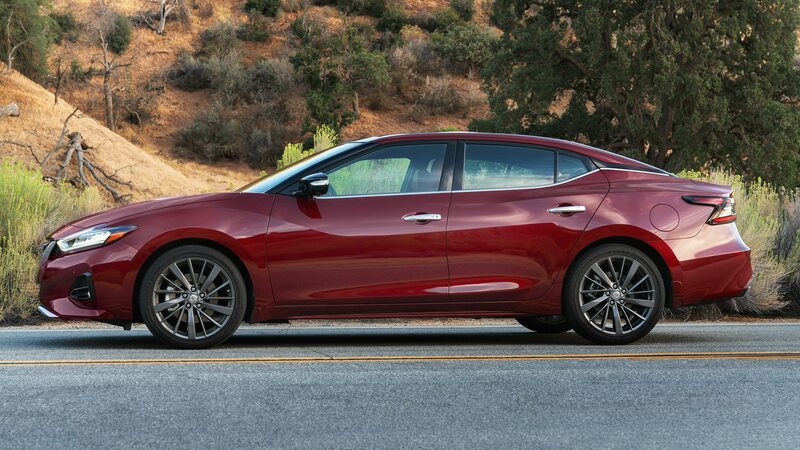 And much to our surprise, after a couple of hours behind the wheel, we realized that we can totally get behind this new Maxima. 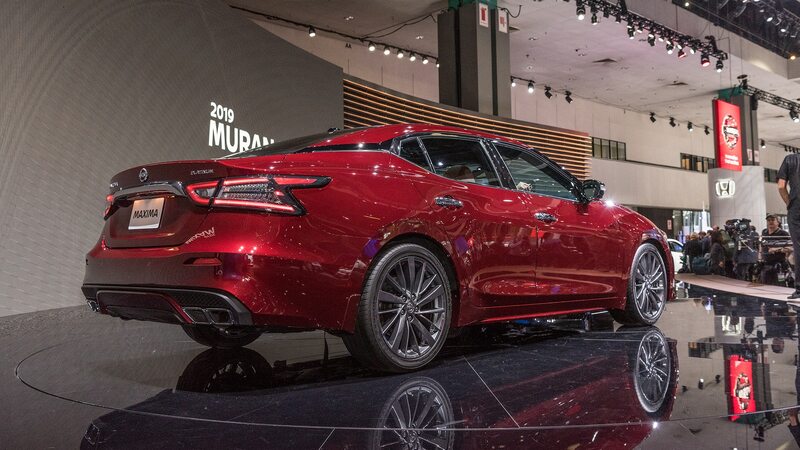 Continuing to put the 4DSC stuff out of mind, we passed over the sporty SR model in favor of hopping in a top-of-the-line Platinum model with the new Reserve package. 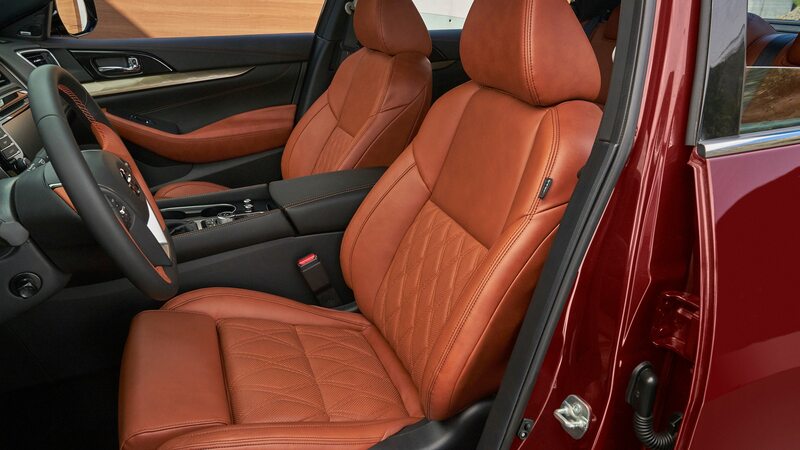 The Platinum Reserve offers Raduka Tan leather on the seats, armrests, and steering wheel, a hide option previously reserved for the GT-R. 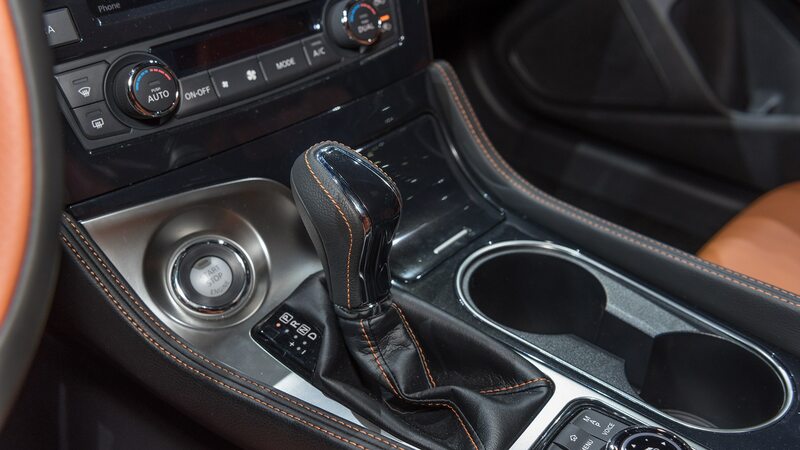 It has a nice hand-tooled look to it, as if the steps required to go from cow to car were minimal. 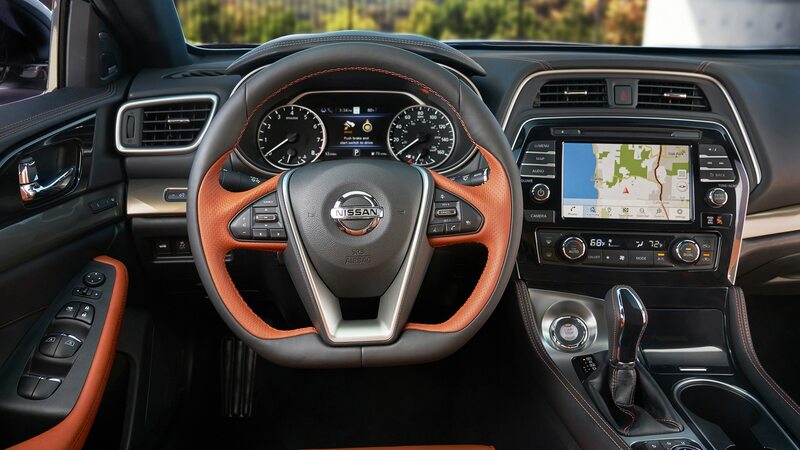 Orange dash and console stitching and bronze-colored trim panels on the dash complement the new color without going over the top. 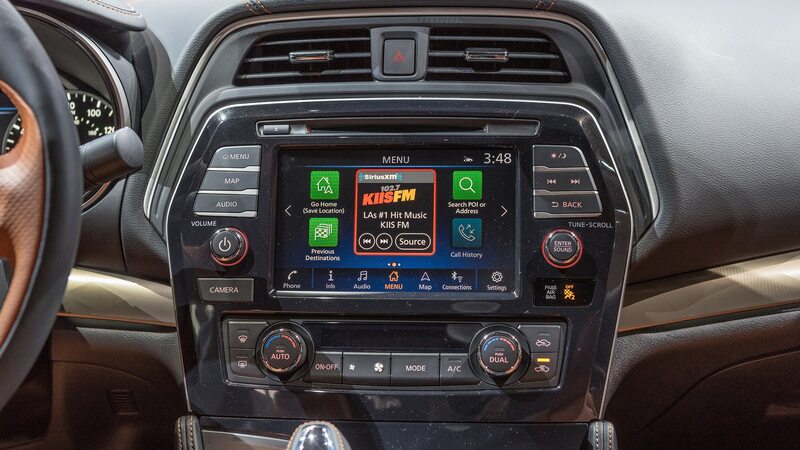 As we mentioned earlier, there are no major changes to the dash, and our drive reminded us that none were really needed. 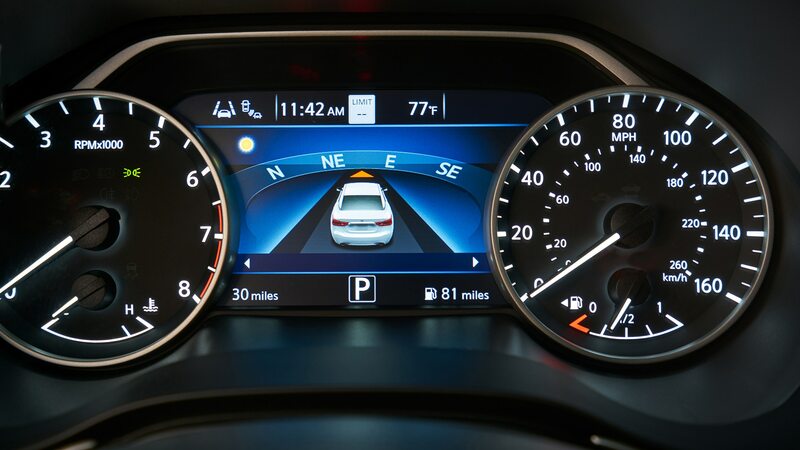 The analog gauge cluster and 8.0-inch display screen (more specifically, the graphics displayed on it) are hardly cutting-edge, but the controls are easy to find and feel substantial in use. 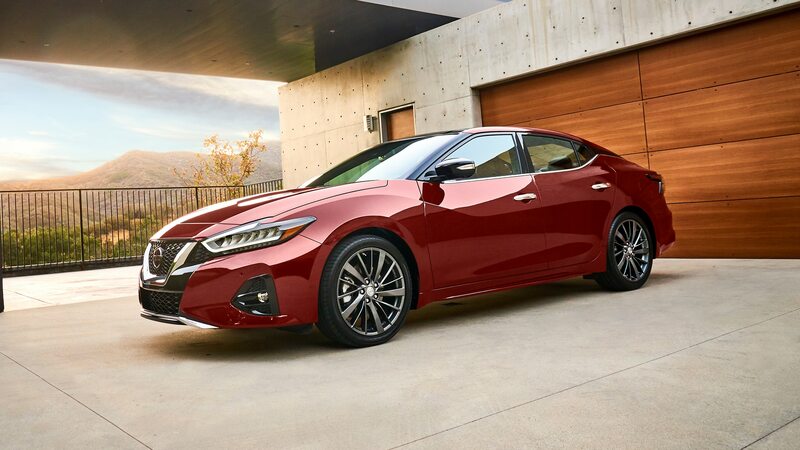 Not that the 2019 Maxima is devoid of new features; it’s just that most of them aren’t readily apparent. 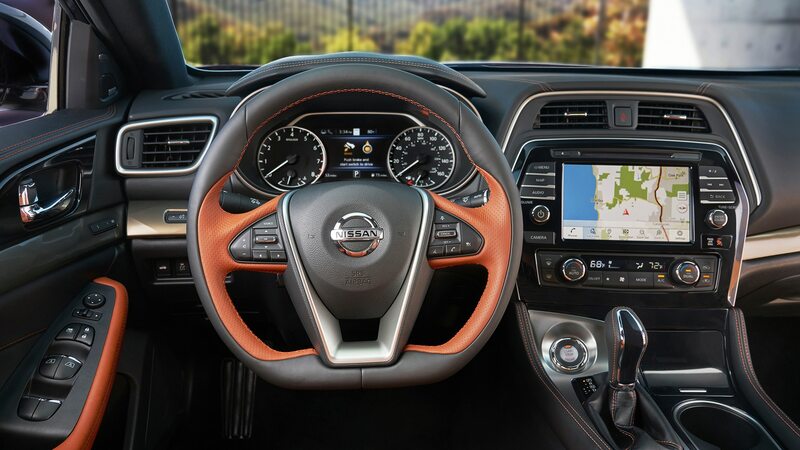 The Maxima can now be had with traffic-sign recognition, with signs displayed on the IP’s center color screen; the navigation system can be updated over Wi-Fi, with free updates for three years; and of the Maxima’s four USB ports, two are Type Cs. 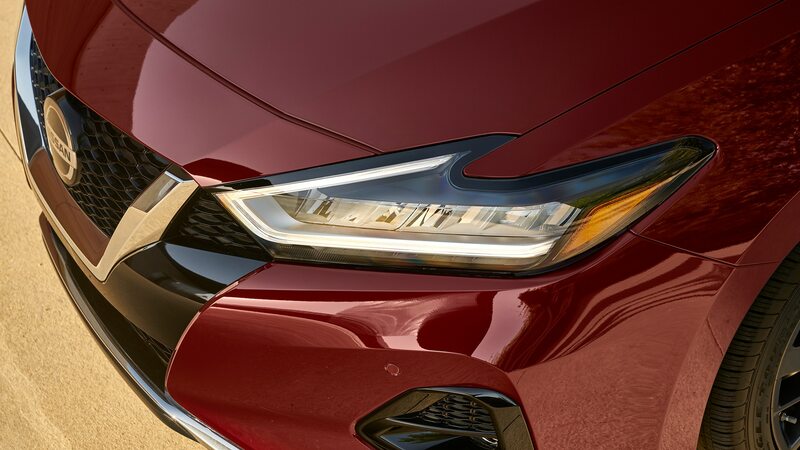 Mechanically, there are no significant changes. 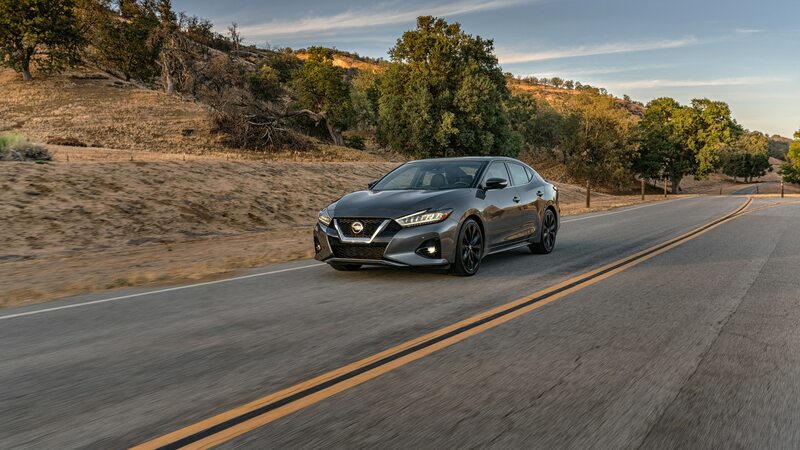 The Maxima retains its 3.5-liter V-6, still delivering an even 300 horsepower—not a thrilling number nowadays, but at least you won’t hear us complaining about turbo lag or off-the-line hesitation. 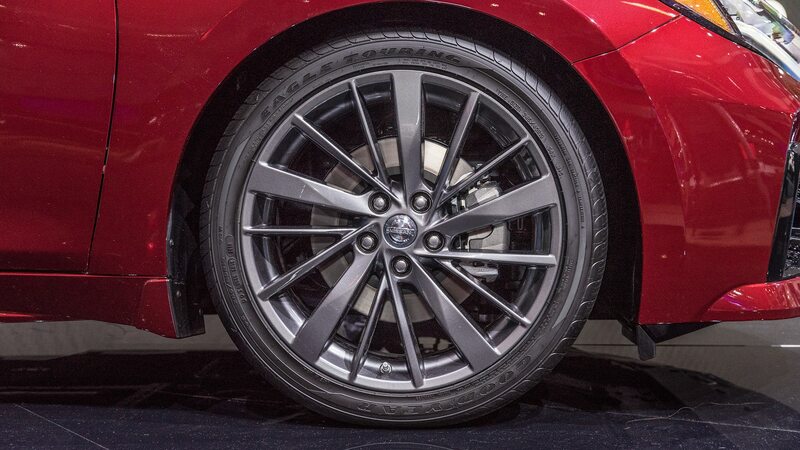 All components related to suspension and steering remain unchanged. 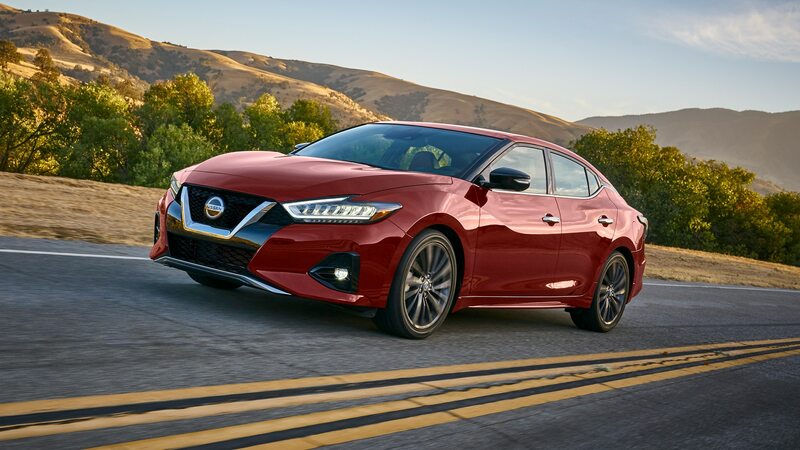 But Nissan has bulked up the Maxima’s safety resume, adding automatic emergency braking in both forward and reverse directions, lane-departure warning, and automatic high beams. 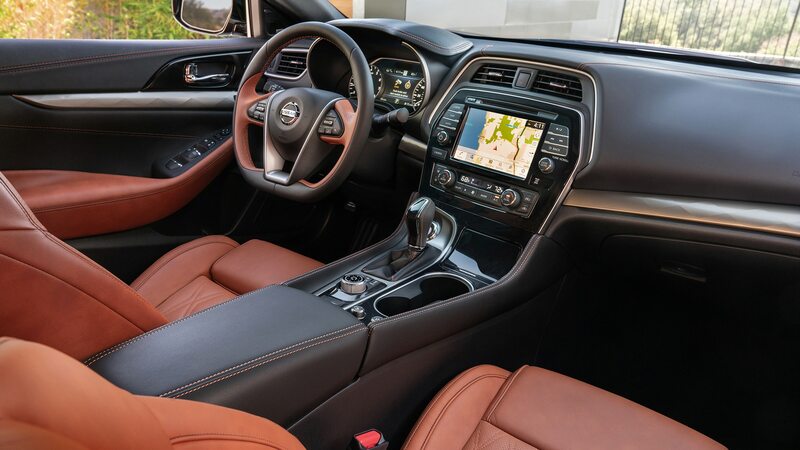 Unfortunately, Nissan’s Distance Control Assist, a sort of auto-pilot that brakes for you, as well as the company’s lane-centering system, haven’t been added to the Maxima. 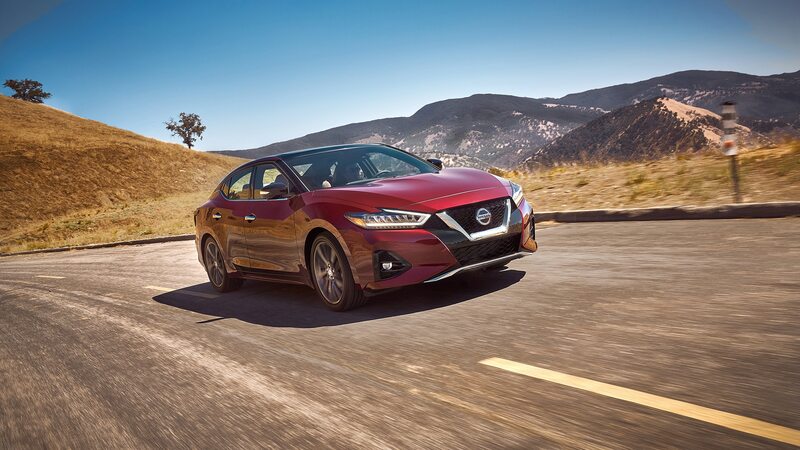 The new Maxima rides comfortably if a bit firmly, responds promptly, and grips the road well enough for a four-door that, ahem, is no longer trying to be a sports car. 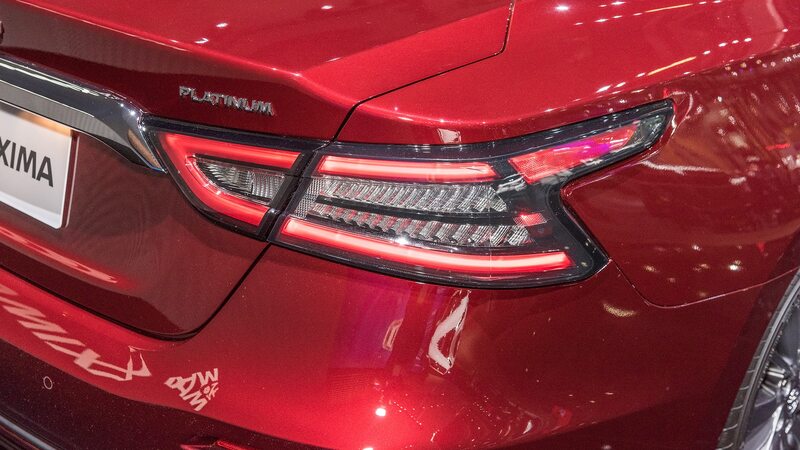 And goodness knows the big V-6 has passing power to spare. 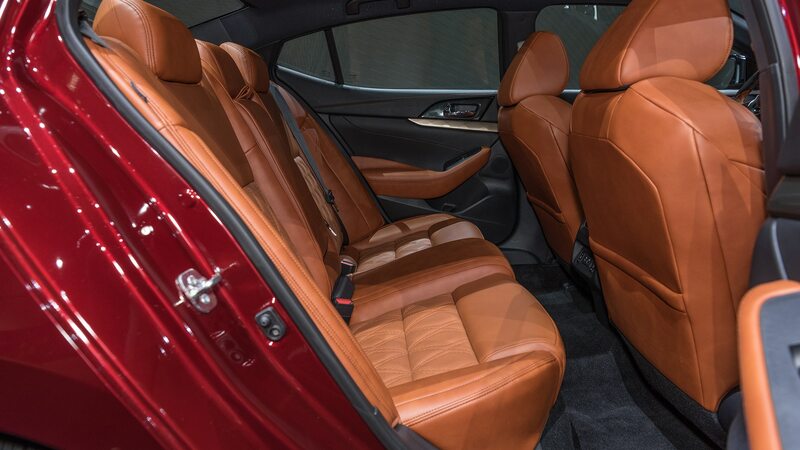 But the fun factor is largely missing. 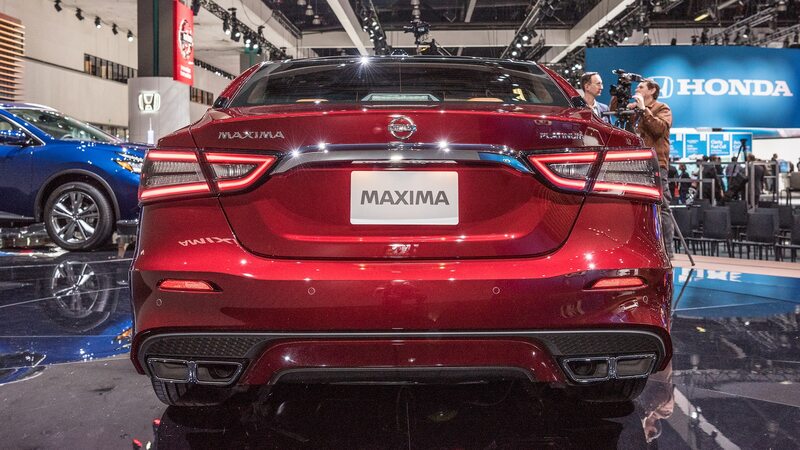 Despite the promising factoid that the Maxima is one of the few cars still using hydraulically assisted steering, road feel and response are marginal. 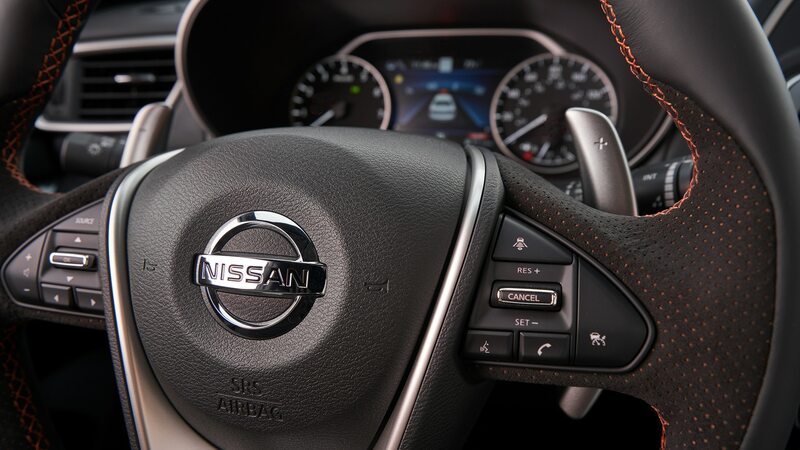 Paddle shifters are reserved for the SR, although with a continuously variable automatic as the only transmission option, they’re not really all the enjoyable to use. 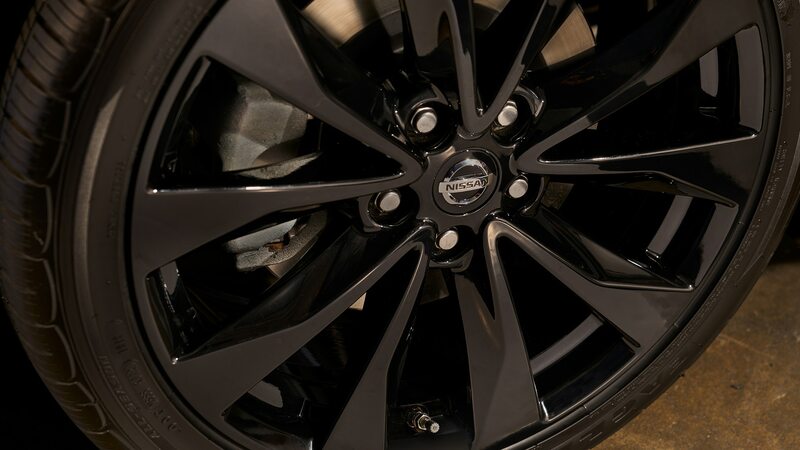 The CVT is commendably programmed as far as these things go, but a commendably programmed CVT is still a CVT. 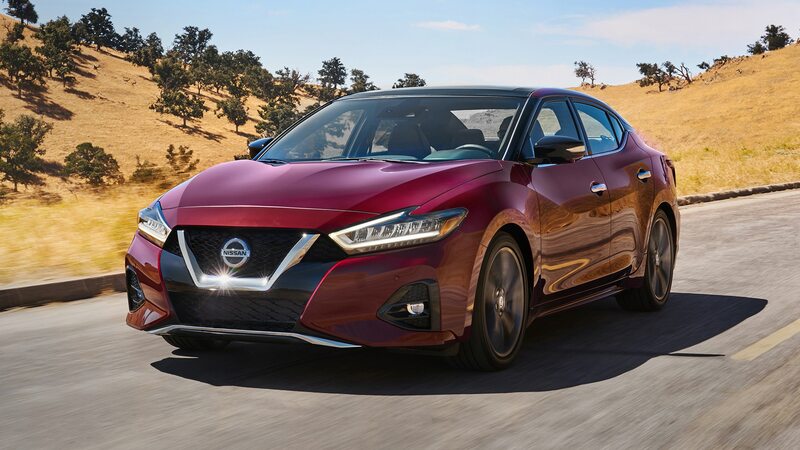 We’d hoped that Nissan would have sprinkled a little of the 2019 Altima’s magic on the Maxima, but that will perhaps have to wait until the Maxima is once again fully redesigned. 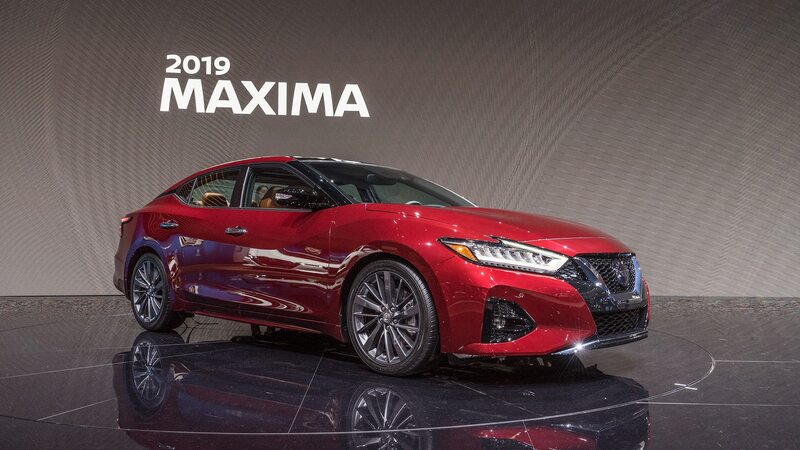 (And how funny it feels to write that—remember the days when we were hoping Maxima magic would be sprinkled on the Altima?) 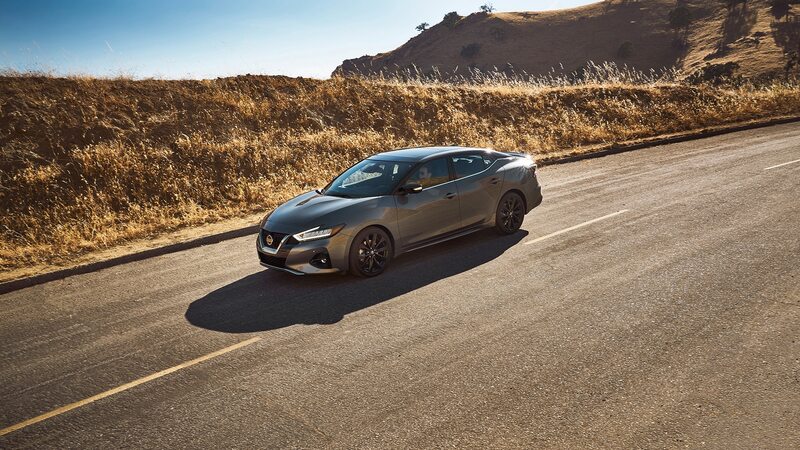 The 2019 Maxima isn’t bad to drive, but neither is it great to drive. 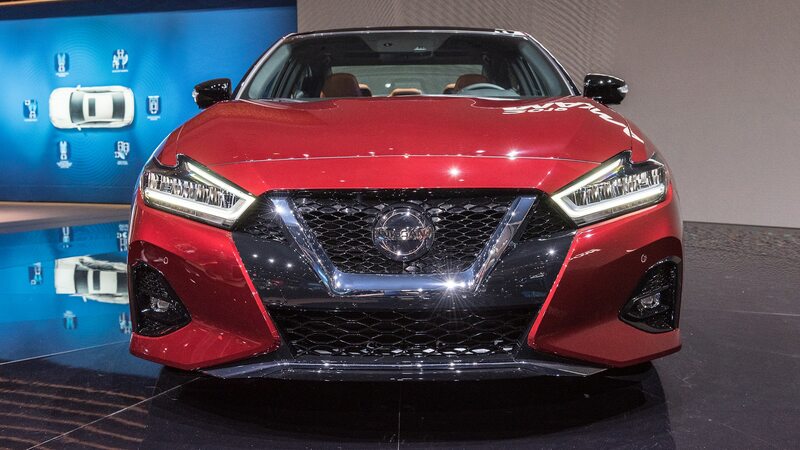 One can lament the loss of the Maxima’s sporty character all day long, and we suspect that many folks still do, but those days are clearly over, and perhaps the model’s days as a design diva are ascendant. 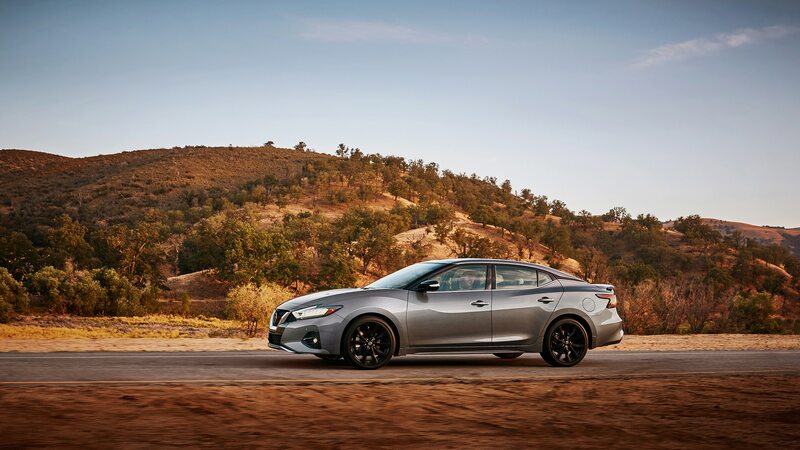 There’s more than a whiff of Infiniti about the Maxima, and with prices starting around $35,000 and topping out in the mid-$40k range, it also strikes as somewhat of a value. 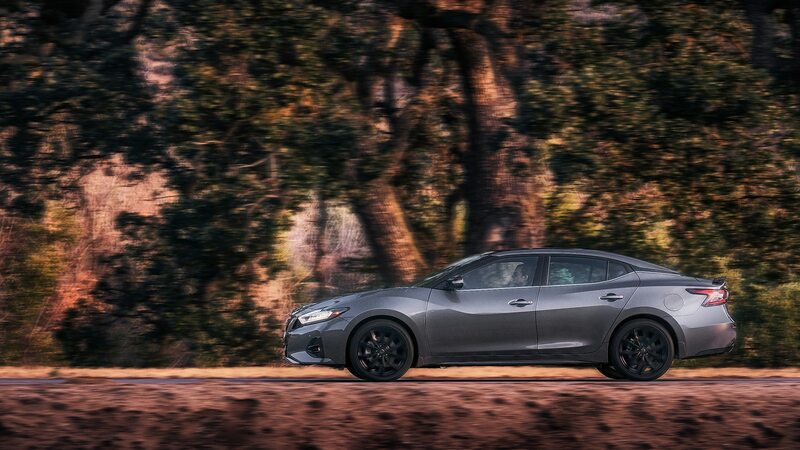 It’s not the wannabe GT-R we may have once pined for, but the updated version remains a pleasant place to spend time and is palpably better than before—and that’s a heck of a lot more than we expected from the new Maxima.